Home Job Tips TOP BANKING INTERVIEW QUESTION - How is Technology impacting the Banking sector? 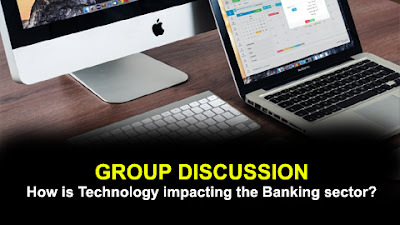 TOP BANKING INTERVIEW QUESTION - How is Technology impacting the Banking sector? The banking sector is one of the fastest growing sectors in India. Previously, banks used conventional methods to maintain ledgers and accounts. Also, customers need to wait for a long time in queues to deposit and withdraw cash. But now technology has brought a major change in the banking industry. Due to digitalization, everything has made easy and people are making use of technology for cash transactions i.e. ATMs (automated teller machines) for cash withdrawals and cdms (cash deposit machines) for cash deposits. Not only this, private sector banks like kick banks are using robotic technology to improve customer service. After demonetization, everything has made online and we can open and maintain bank accounts without going to a bank branch. Recently, Kotak Mahindra Bank has launched an 8-11 app that a person can open an account by using this app simply entering their aadhaar and pan numbers. China is the first country to install face recognition atm which enables the user to withdraw cash without entering any details like pin number etc. Our central government had launched up (unified payments interface) and Bhim (Bharat interface for money) apps to encourage people for digital transactions. We can say that technology has made a major impact on the banking sector.